If you never grappled before and BJJ is new to you, you need to understand that hygiene is really important to training. Due to the constant skin-to-skin contact when training, skin infections are common in BJJ. Typically the issue starts with poor hygiene of a person or poor hygiene education at your school. Now listen, if you are germ phobic don’t panic! The truth is that most types of skin infections in BJJ are minor and only become a health issue if they are not treated immediately. The most common types of skin infections in BJJ include: Ring worm, Herpes Simplex, Impetigo, and Staph/MRSA. This blog will give you some general knowledge on these infections, and help you understand and identify their signs and symptoms. 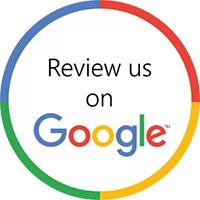 Ringworm – Ringworm is a type of fungal infection that can be contracted almost anywhere on the body. Ringworm appears on the skin as a raised circle or ring. It is typically red or brown around the edges with scaly, peeling skin throughout. Herpes Simplex – Herpes simplex is not the sexually transmitted disease Herpes, so relax. It’s a type 1 viral infection that is in the same category as cold sores and fever blisters. Although there are several types of herpes that can be contracted in BJJ, Herpes gladiatorum is the most common, earning the name “Mat Herpes” or “Wrestler’s Herpes.” A herpes rash begins with small clusters of red bumps and irritated skin. Fluid filled blisters are characteristic of the herpes virus, and after a few days these blisters typically flatten out and become yellowish-brown scabs. Impetigo – Impetigo is a bacterial infection that can be found nearly anywhere on the body, and is caused by one of two types of bacteria: Streptococcus (strep) or staphylococcus (staph). Impetigo is usually caused by one of these types of bacteria entering the body through a cut or insect bite. Impetigo typically begins as small clusters of red bumps that break open into a yellowish scab. Impetigo is highly contagious and if left untreated, could cause other very serious health problems. Staph/MRSA – Staph (Staphylococcus aureus) is no joke and is the most serious BJJ related infection in my opinion. Staph is a group of bacteria that can cause several other infections. Staph usually enters the body through open wounds and hair follicles, but can sometimes cause infection without a break in the skin. In severe cases, the infection may find its way into the bloodstream causing serious health complications. Staph can show up in several different forms, but mainly starts as a small sore or boil. Tenderness, swelling, and redness around the infected area are common symptoms. It can often spread quickly, and with this comes flu-like symptoms such as fever, sweats, and chills. If left untreated, staph may cause pneumonia, and blood or bone infections. Antibiotics are used to treat a staph infection. Depending on how early it is caught and how severe the case is, the type and strength of the drug(s) may vary. Staph can be deadly! A few years back a friend of mine contracted Staph and almost died from it. He was rolling on Monday and Tuesday night was in a hospital fighting for his life. This is because the overuse of some types of antibiotics has caused mutated forms of the staph bacteria known as MRSA (Methicillian-Resistant Staphylococcus aureus); this type of infection is resistant to some forms of antibiotics. MRSA is more difficult to treat than a typical staph infection, because there are fewer effective forms of antibiotics. Just so you know, my friend went back to the gym shortly after being released from the hospital and has been rolling ever since. However, his illness caused a shockwave through the gym and everyone became very serious about their hygiene. The key to stopping skin disease is prevention. These days most people training in BJJ are told about skin diseases inherent in BJJ when they start training (or they should be). If you haven’t been told, listen up. Preventing skin diseases is much easier than treating it. Therefore you must be diligent to prevent it. Here is a guide to help you protect yourself from infections. Shower Immediately – The longer you wait to shower after practices, the more time harmful germs are allowed to stay and grow on your skin. When showering, always use antibacterial soap, Head and Shoulders or Selsun Blue is good too. Know Your Body – Check your body for anything out of the norm; if it looks like it shouldn’t be there, well … it probably shouldn’t be there. Cut Your Nails – Certain types of bacteria and fungi may live underneath the fingernails, and can easily be transmitted to another person’s skin. Clean the Facilities Daily – In addition to the BJJ mat, also clean locker rooms, showers, etc. with bleach. BJJ mats should be especially taken care of, as they are one of the most common places where germs can live and grow. If your gym doesn’t do it regularly COMPLAIN! 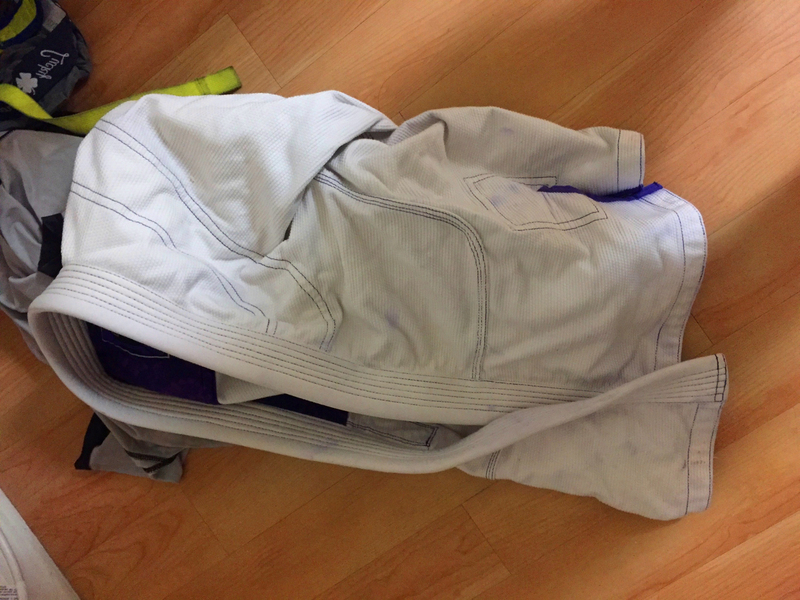 Wear a Clean Gi Daily – It is mandatory to have a clean Gi for every class! This also includes rash guards, shorts, and all equipment that you wear. You absolutely cannot wear the same gi for more than one practice. Not only is it disgusting but it is the easiest way to transmit infections to your training partners. Cover All Wounds – During training it is important to cover any open wounds or cuts to prevent infection. Full-length rash guards limit skin to skin contact and can help to prevent skin diseases. Don’t Use a Gym Bag for your Gi – One of the biggest mistakes you can make is placing dirty gear into a gym bag. This is a perfect place for bacteria and fungi to grow and multiply. Use a disposable plastic bag or washable mesh bag that hangs on the outside of your gym bag. Wash your Gi Immediately – as soon as you get home place your Gi, gym clothes and equipment directly in the washing machine. Don’t let it fester and build up bacteria in the hamper. Have Lamisil at home – If you see any rash or red spot on your body start to develop treat it with Lamisil antifungal cream. Or any antifungal cream you may have. When you get to the gym, don’t be shy, show it to your instructor and ask if it is ring worm or something else. Anyone that has been around BJJ for a while has seen most skin problems and can identify it for you. Please don’t hide any skin problem, let someone look at it and assess what it may be. Skin diseases are an unfortunate but common part of being a grappler and practicing BJJ. However, if you use these tips and incorporate them into your daily routine you should have no worries. You and your training partners will be happier and healthier doing what is necessary to protect yourself and your gym. Professor Geoff Balme is a second degree black belt and the lead instructor at Open Guard BJJ, Kickboxing, and Self-Defense Classes in Apex, NC.